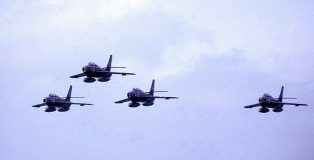 After their operational service about 30 Streaks were temporarily used as eye-catchers (“decoys”) at air-bases of the KLu: about 4 aircraft were present at each airfield. They were removed and scrapped in 1980. 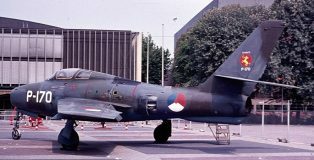 A few Dutch F-84F’s still survive today as gate-guards, monuments ,instructional airframes or museum aircraft. In this gallery you will find a selection of the pictures we took between 1970 and today. 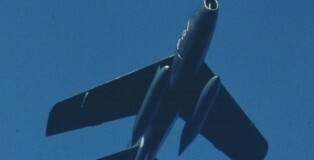 Note that most aircraft depicted here are not present anymore at the locations as mentioned.